Dr. Frisch and his dedicated staff believe in creating a very personalized experience with the highest level of service. His practice focuses on minimally invasive joint replacement and complex primary and revision hip and knee replacement. Dr. Frisch utilizes efficient pain management pathways that allow for rapid recovery and faster return to normal activity. Select patients may qualify for outpatient joint replacement and go home the same day as surgery. For total hip replacement, Dr. Frisch will perform surgery using either an anterior or mini-posterior approach depending on the individual’s needs. Dr. Frisch was born and raised in Michigan and graduated from Detroit Country Day High School. He attended the University of Vermont for college, Loyola University Chicago for a Master’s in Medical Science and then Tufts University School of Medicine where he earned his MD and MBA in Healthcare Management. While at Tufts Dr. Frisch was awarded the Norman S. Stern MD|MBA Award for excellence in academics and leadership. Dr. Frisch completed his Orthopaedic Residency training at Henry Ford Hospital in Detroit. During his time at Ford, he was actively involved in research, winning several local and regional podium presentations. He was equally involved in health care innovation, winning the innovation challenge for “reducing 30-day readmission through technology,” and the Ford Motor Company Connected Health Challenge. Dr. Frisch also won an award for the development of “wireless, wearable sensor technology in health care.” Upon completion of his training at Ford, Dr. Frisch received the Outstanding Resident Award for 2016. 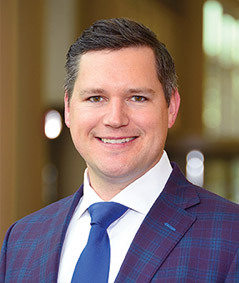 Dr. Frisch’s clinical research interests focus on the treatment of hip and knee degenerative disease, implant design, corrosion and perioperative patient optimization. He is also engaged in larger health policy related topics including risk adjustment for value-based reimbursement and systems-based quality care initiatives. National Orthopaedic Leadership Conference, Washington D.C.
AAHKS Legislative Retreat, Washington D.C.
AMA National Advocacy Committee Meeting, Washington D.C.